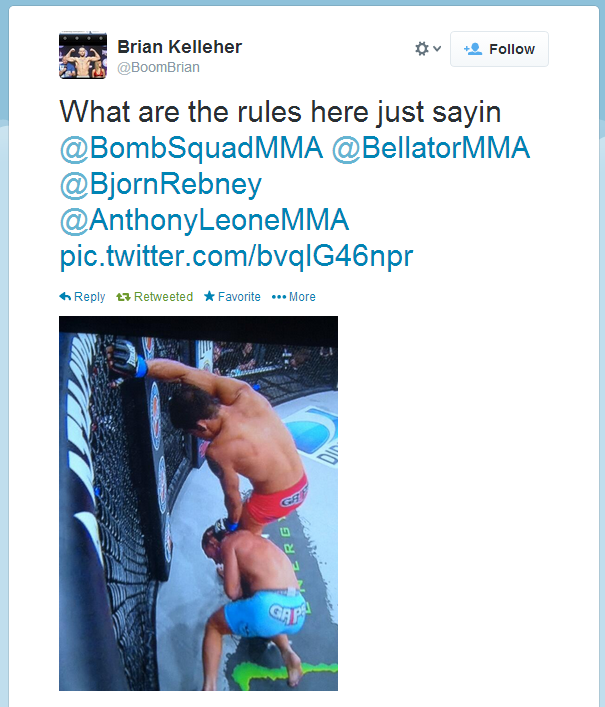 The MMA Journalist: Did Eduardo Dantas Cheat to Beat Anthony Leone? In the final sequence, Leone was desperately trying to get Dantas down, and since he was successful in the first round, it's no stretch of the imagination to think he couldn't do it again. Unfortunately, that just begs the question: Did Dantas' illegal fence-grab unfairly affect the outcome of the fight? Maybe the grabbing of the fence might have affected the outcome of the fight but fighters are always grabbing the fence and receiving warnings. Dantas isn't the first to do it and certainly won't be the last. The commission just needs to enforce the rule a lot more than they do. Agreed. Everyone does it at some point.